Since late 1998, I have had the pleasure of working with the wonderful folks at OnHoldAdvertising! The husband and wife team of Brent Brace and Karen Kelly have produced literally millions of voice prompts for thousands of systems throughout the American Business Communications landscape. Karen can be heard on more automated attendants and voice mail systems in this country than we have touch tone keys to push! 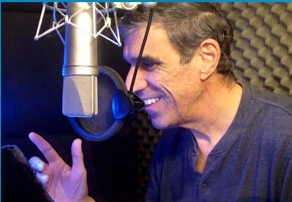 Behind the scenes, unless you required a superior male voice artist, was Brent working away tirelessly as the editor and producer. They brought “a human voice to a technical wilderness” and great joy to those they worked with. Brent had been fighting one of those long term muscular and neurological diseases for years, but not once did you ever hear him complain about it. A Vietnam Veteran, Brent soldiered on, and built an outstanding business, and a greatly admired professional reputation. Most recently in the Denver area where he and Karen had relocated from Southern California, he had been teaching voice artistry workshops. Brent entered Hospice at home a few weeks back, yet he was still directing our voice production! Unfortunately, Brent passed away in the early morning of this Memorial day weekend. We will miss his voice forever! Our heart is heavy and we are again reminded that “business” is conducted by “people”. Karen will continue the wonderful work of On Hold Advertising but will need some time to process all that has happened this year. If the voice these folks have produced has touched your life, please send Karen a note of care and consolation.